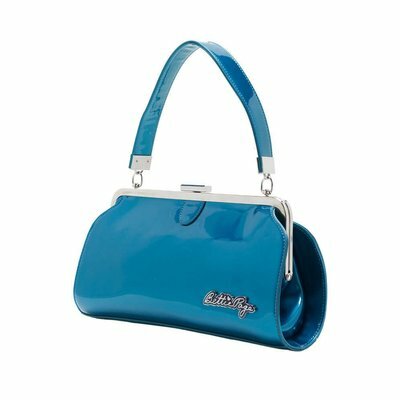 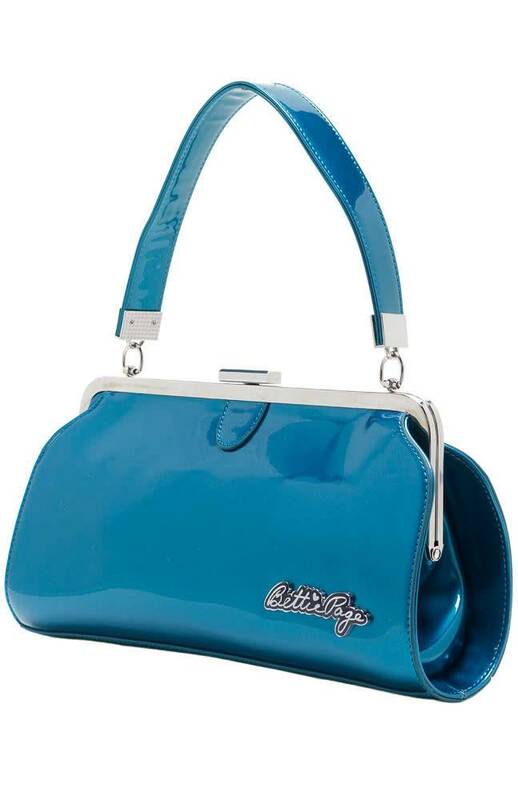 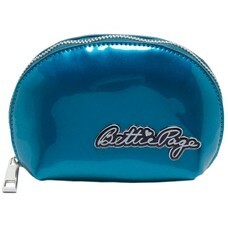 This retro 1950s vintage-inspired Bettie Page purse is constructed from glossy patent vinyl in a shimmery, pearlescent blue color. 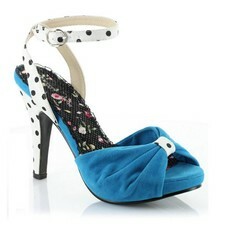 It features a hinged metal clasp closure, a short handbag strap, and shiny silvertone hardware. 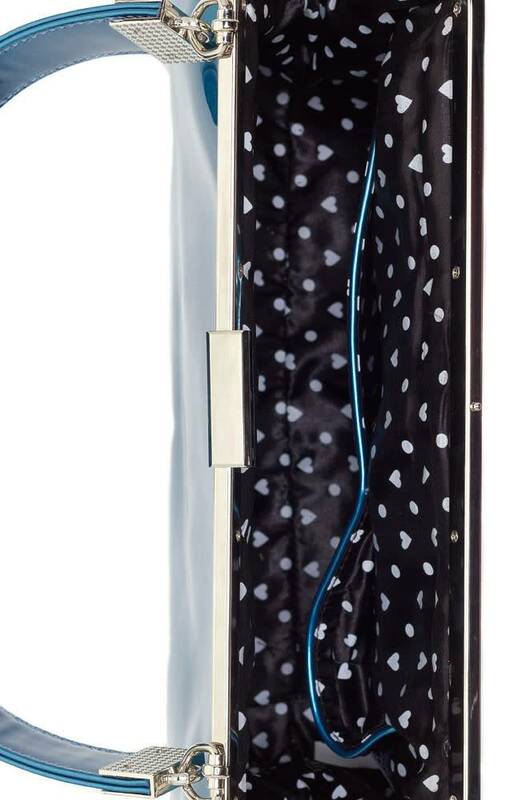 The interior compartment is lined in black & white polka dot satin fabric and has a small zippered pocket on one side, and an open cell phone pocket as well as an accessory pocket on the other side.